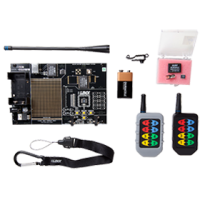 The HT Keyfob transmitter evaluation kit is designed to assist in the rapid evaluation and integration of the HT Keyfob transmitters. 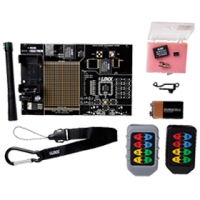 The all-inclusive system features a pre-assembled evaluation board which includes everything needed to quickly test the operation of the transmitter, receiver and decoder. A prototyping area with connections to the regulated power supply allows for the addition of custom circuitry directly on the development board. All of the receiver and decoder signals are available on a breakout header. The HS Compact Handheld transmitter Master Development System is designed to assist in the rapid evaluation and integration of the HS Compact Handheld transmitters. 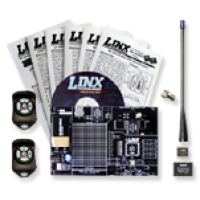 The allinclusive system features a pre-assembled evaluation board which includes everything needed to quickly test the operation of the transmitter, receiver and decoder. A large prototyping area with connections to the regulated power supply allows for the addition of custom circuitry directly on the development board. All of the receiver and decoder signals are available on a breakout header. The HS Long-Range Handheld transmitter Master Development System is designed to assist in the rapid evaluation and integration of the HS Long-Range Handheld transmitters. 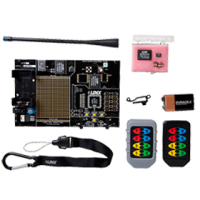 The allinclusive system features a pre-assembled evaluation board which includes everything needed to quickly test the operation of the transmitter, receiver and decoder. A large prototyping area with connections to the regulated power supply allows for the addition of custom circuitry directly on the development board. All of the receiver and decoder signals are available on a breakout header. 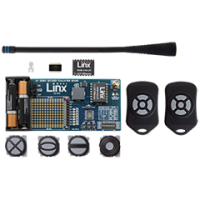 The MS Long-Range Handheld transmitter Master Development System is designed to assist in the rapid evaluation and integration of the MS Long-Range Handheld transmitters. 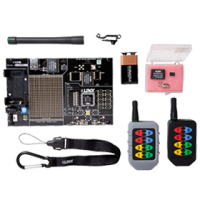 The allinclusive system features a pre-assembled evaluation board which includes everything needed to quickly test the operation of the transmitter, receiver and decoder. A large prototyping area with connections to the regulated power supply allows for the addition of custom circuitry directly on the development board. All of the receiver and decoder signals are available on a breakout header.